Ruins of an old Shell gas station. The stripped pumps and canopy are all that remain, as well as part of the sign. 9/2018 - The sign and building have been removed. All that remain is an overgrown parking lot, and the canopy. 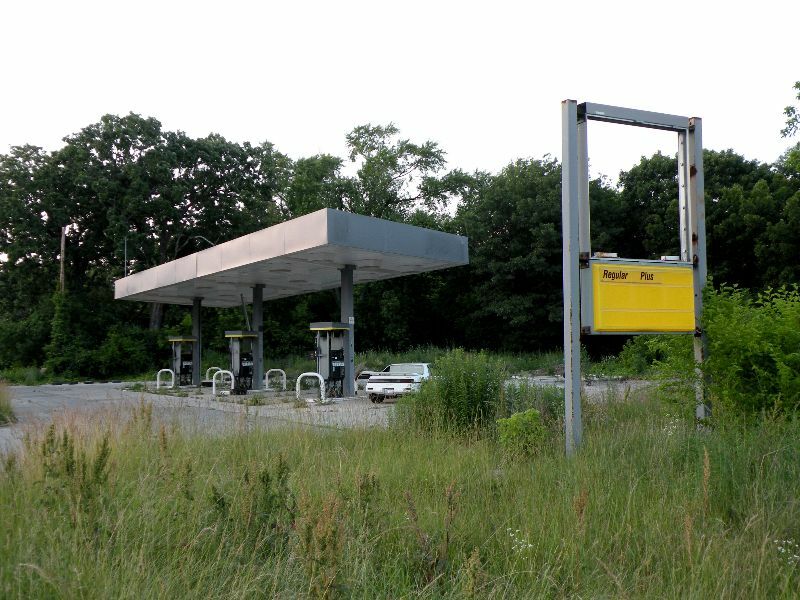 Gas pumps, canopy, and the remains of the sign are still there. The c-store and car wash were demolished sometime after 2005. Concrete barriers were added in 2009 at the entrances, so getting your car in there is impossible now. This location's validation is current. It was last validated by Emperor Wang on 9/11/2018 11:51 PM. on Jan 5 10 at 4:02, jonrev updated gallery picture Self-Service? This page was generated for you in 93 milliseconds. Since June 23, 2002, a total of 574115574 pages have been generated.